Comments: Plants can be rather open and straggly in appearance, but there is an abundance of flowers on this close relative to the hibiscus. 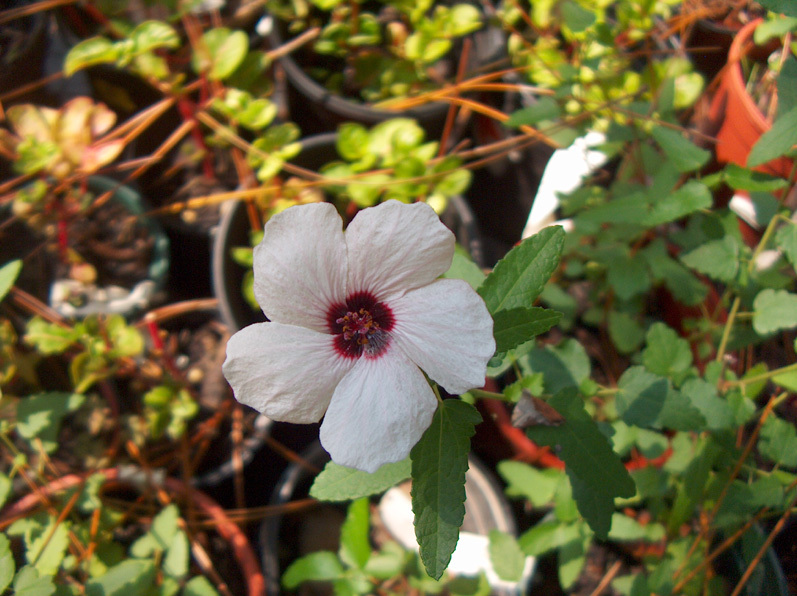 The two inch pale pink flowers have red centers. Plant in full sunlight and in a well drained soil. Leaf eating insects can sometime be a problem but are relatively easy to control.